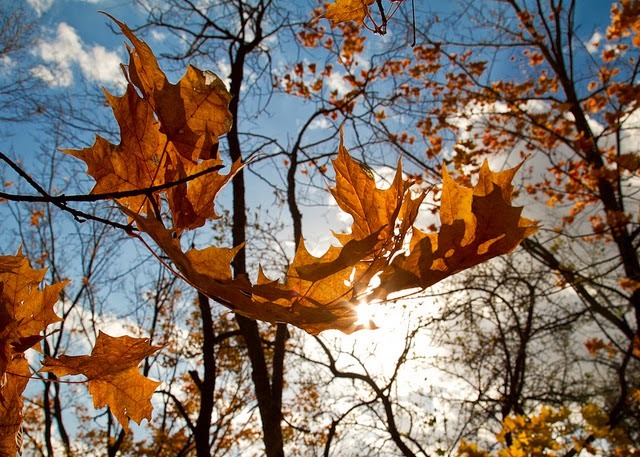 I have mentioned before that fall is my most absolutely favorite time of the year. There is something about it being just right, it's not too hot, it's not too cold. All the leaves are starting to change color, and it's just beautiful. I have this memory from my senior year of college. The leaves had all already started changing colors. It was a beautiful sunny fall day and I was walking across campus at the end of the afternoon back to my car. I was on the edge of campus walking behind an old building and there were a ton of huge trees with yellow and orange leaves on them, as well as scattered all over the ground. A gust of wind came along and swirled the leaves in the air all around me as I walked along, and it was the perfect fall moment. This was 10 years ago and I can still remember it clear as day. 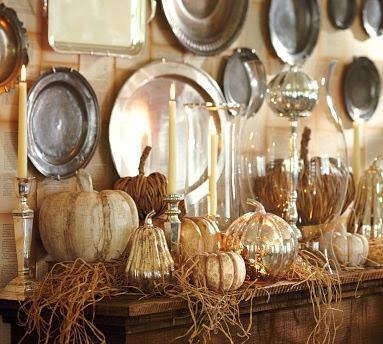 With fall upon us it means it's time for some mantel inspiration. I hope to change mine up this weekend so I can enjoy it for as long as possible. I found this year I'm really drawn to the lighter, more natural looks. I'm loving all of the white pumpkins. 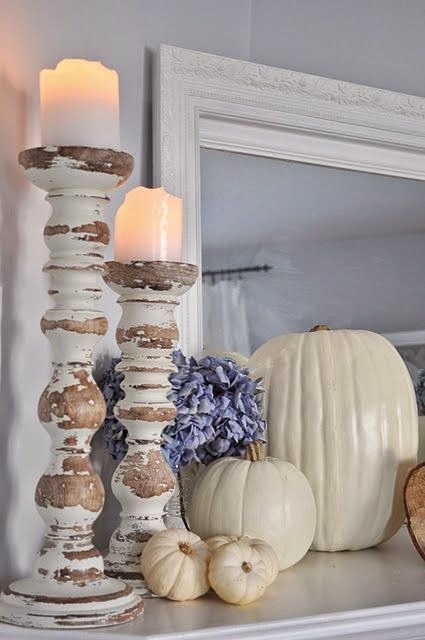 Those candle sticks are amazing, I love the rustic vibe and they would be useful for so many different seasons. I definitely have my eye out for something similar. The little burlap banners would be so easy to DIY to add a little message and texture. The grapevine wreaths are a simple, inexpensive way to bring a touch of fall in, it would be easy to layer over my DIY window pane mirror. 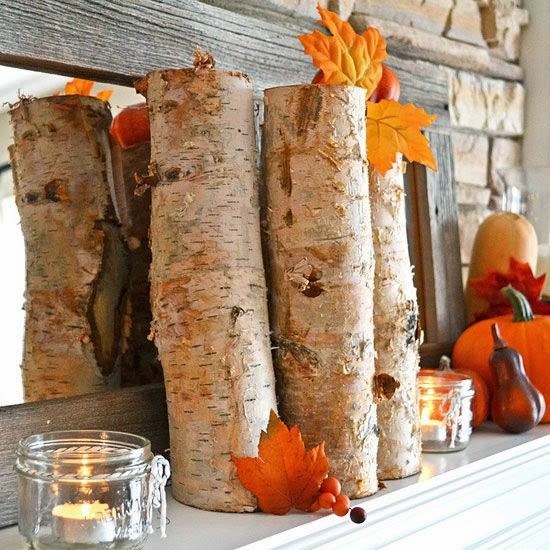 I love the natural touches of the birch logs, and fall colors. You can never go wrong with mercury glass, at least in my book. 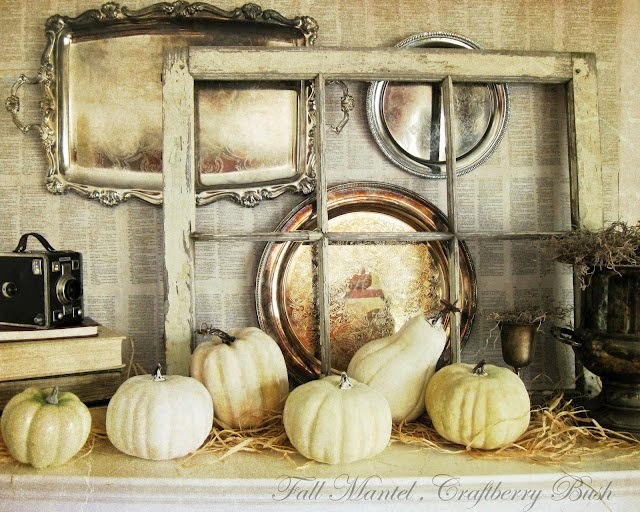 Loving these pumpkins, especially the mixture of textures. This is the color palette I am most driven to this fall, which is funny because it's so neutral and doesn't contain any of those traditional yellows, oranges, and reds that you think of with the changing of the leaves. 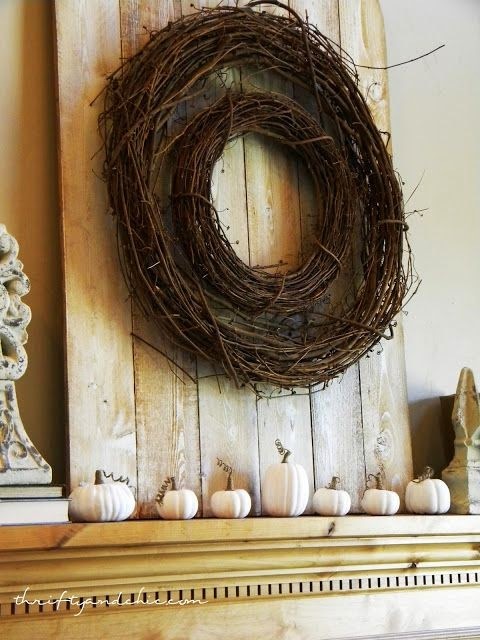 There is something about keeping it so clean and fresh that I just can't get enough of, but I may find that a little tradition sneaks into this years fall mantel. We will just have to wait and see how it all turns out! 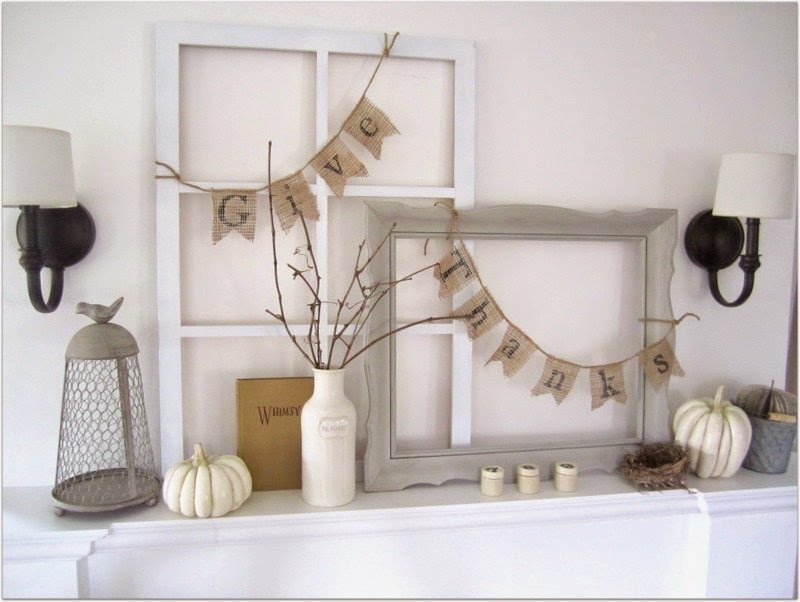 What's on your mantel this fall? I just finished our fall mantel decor last night! 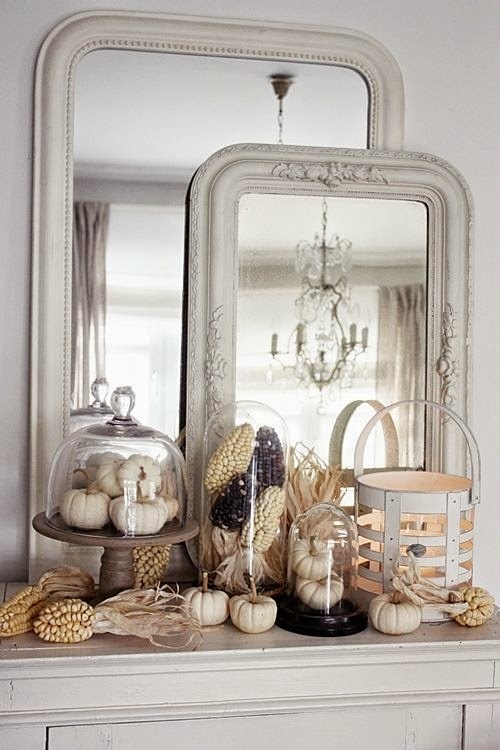 LOVE decorating for fall! I hope to get the rest of my fall decorations put out this weekend, so hopefully I'll have pics next week too! I love fall, too! It's my favorite time of year. Love all of the mantle inspiration! Thanks for linking up to WYWW! I love those shabby chic candle sticks! How appropriate for fall! Of course I was seeing them everywhere, and now that I want them I can't find them! Can't wait to see!! I wish I could spend all my time decorating and working on my house, a girl can dream! 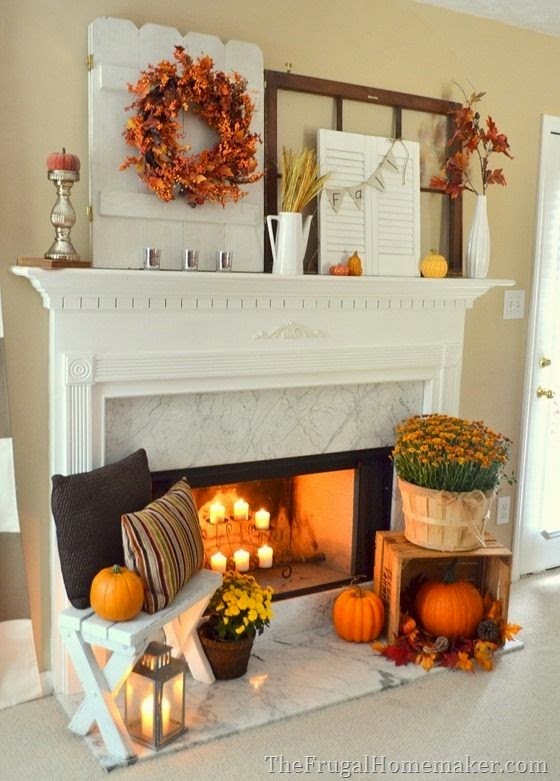 I absolutely needed this post - I've been looking all over the place for fall mantel inspiration. This is my first year ever having a fireplace/mantel to decorate, so I'm obsessed with getting it right! I hope you share it when you get it just right! These are great photos for inspiration! I love that bunting and the layered mirrors. Thanks for sharing on What You Wish Wednesday. Link-up again tomorrow! I'm thinking I'm going to need to DIY some fall bunting, hopefully I get around to it! Thanks for hosting WYWW!